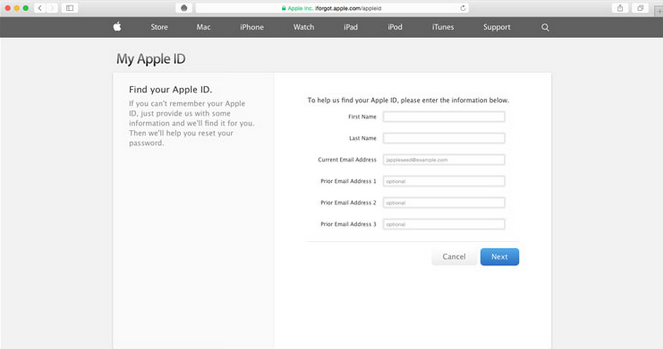 There are many situations when your Apple ID may be locked out for security reasons, for instance, if you (or someone else) enter your password incorrectly for many times, your ID automatically locks to protect your security and then you cannot sign in to any Apple services with that account and password. And here are some common reasons why your ID gets locked or disabled: someone tried to log in to your Apple ID incorrectly too many times; someone entered your security questions incorrectly too many times; other Apple ID account information was entered incorrectly too many times; and suspicious activity. To unlock your ID, you must first verify your identity. iforgot.com is Apple’s official account recovery system that you can use to regain access to your account. Just navigate to this page and follow the prompts to complete the recovery process. Open Safari (or other browser) on your Apple device, and visit the site. Enter the First Name, Last Name and Current Email Address fields, and click Next. Your will need to enter the Recovery Key if you enabled two-step verification before. If so, enter the number and click Next. If it is not enabled, skip to the next step. After entering your Recovery Key, you are required to select the phone number for two-step verification, and then click Next. Then you are required to enter the Verification Code sent to the phone number, and then click Next. 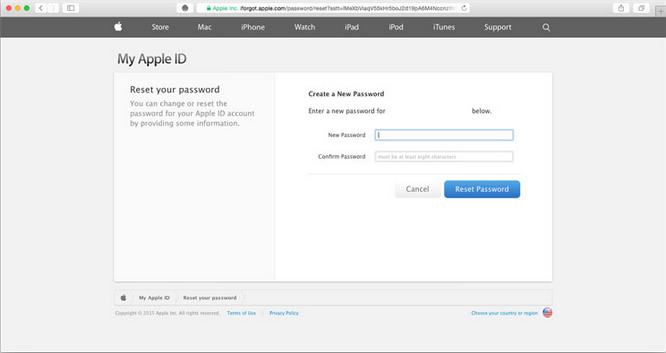 Click Reset Password, and you now have reset the password for your Apple ID. Once your account is reset, you will need to enter the new password with all your accounts on your Apple devices to start using the ID again. If you still cannot unlock or reset your ID for unknown reason, you can contact Apple Support for help.